The best aspects of "Jurassic World," in which a hybrid super-predator runs amok in the trouble-plagued theme park, are so good that they transport you that exhilarating mental space where the series' original director, Steven Spielberg, raised a tentpole back in 1993. The worst aspects are bad indeed: thin characterizations, a blase attitude toward human-on-animal violence and a weird male-supremacist streak that comes close to sneering at unmarried career women who don't have kids. On the "smarter" side of the ledger, you can enter three, maybe four large-scale action sequences that do the master proud. Directed by Colin Trevorrow in a style that's Spielbergian but not slavishly so, they're bruising but not overbearing, and laid out with clarity. You always know where you are and what's happening, and you rarely see as much brutality as you think: some of the mayhem is suggested by sound effects, a blur of motion obscured by foreground objects, or a spray of blood on a wall. Every shot and cut pulls its weight. Every new development makes the sequence feel like a story-within-a-story with the end goal of getting the hell away from dinosaurs. The final half-hour is a sustained chase through dark woods that reverses expectations again and again, culminating in a whirl of dino-on-dino violence: a funnel cloud of claws and teeth. But best in show goes to the sequence where park visitors are attacked by pterodactyls that pluck them from the ground like mice—an homage to "The Birds" that amounts to Treverrow doing Spielberg doing Hitchcock. You can say a lot of things about this director, but not that he lacks confidence. Less bruising but more intriguing are the the bits that feel like preemptive strikes against criticism—or at the very least, examples of a $200 million franchise installment sizing itself up as a consumer product as well as a film. It's as if somebody had taken one of the most-discussed bits from the original "Jurassic Park," the shots of merchandise emblazoned with the same logo as the film you were watching, and unpacked it with care and joy, as if it were a bottomless, self-referential toy chest. That "Jurassic World" can think about itself as a sequel without taking us out of the story we're watching makes it truly Spielbergian. When a friend heard the premise of "Jurassic World"—the park, which has been open for twenty years without an accident, decides to create a bigger, badder meat-eater—he said the tagline on the poster should be "We Never Learn." As it turns out, Chris Pratt's character says "These people never learn" when he hears about the new dino. Park staffers talk about how they introduce new creatures every few years to goose ticket sales. Jaded park visitors are compared to Americans who lost interest in moon missions after the first one, and require "bigger, louder" dinosaurs with "more teeth." The movie is talking about the "Park" series itself, which introduced new dinos each time out to keep viewers interested, and easily bored movie audiences in the age of computer-generated imagery, technology that the first two "Park" films made fashionable. It's also talking about the steady escalation of scale in the blockbuster, which mandated that the each new incarnation of Godzilla be larger than the previous one, and birthed superhero films so inflated that on those rare occasions when the good guys save the human race instead of the universe, critics congratulate the filmmakers for daring to be intimate. The cartoon character "Mr. DNA" makes a brief cameo here, as a prelude to discussions of the new predator; ditto the original compound headquarters and the "When Dinosaurs Ruled the Earth" banner, and they all remind us of how intimate the first movie now seems, and how comparatively old-fashioned. There's an even better scene where teenager Zach Mitchell (Nick Robinson), one of two brothers visiting the park, takes a cell phone call from his mom while behind him, a T-Rex approaches a goat in a paddock that's decorated to evoke the spot where another T-Rex tore apart two land cruisers in the first "Jurassic Park." Apparently the elapsed time has turned a moment of life-changing terror for Jeff Goldblum, Laura Dern, Sam Neill and company into just another theme for an exhibit. The young man in the foreground is so bored with what's happening behind him—just as, presumably, young moviegoers are bored by 1990s Spielberg films? I hope not—that he doesn't look up from his phone when the T-Rex eats the goat. This scene resonates with that moon missions comment. It also connects to a scene where a whale-sized predator in a Sea World-style aquatic theater leaps from the water and bites a great white shark off a dangling hook; this is a marvelous image on its own terms, but even better when you realize that it's summing up the last forty years of summer blockbuster cinema, starting with "Jaws." Every twelve months there's a bigger fish. A few of the action scenes break with Spielbergian tradition by treating the dinosaurs as monsters to be exterminated with impunity, rather than magnificent, human-recreated, once-extinct animals that ought to be admired and pitied as well as feared. Dinosaurs get wiped out by the bushel in this movie, sometimes in scenes that are too obviously inspired by James Cameron's "Aliens"; there's even a sequence where soldiers' deaths are tallied by freaky first-person helmet-cam feeds and flatlining EKG displays. The DNA-spliced super-predator, which goes by the knowingly silly name Indominus Rex, is immense and unnatural looking: its teeth are so jagged that you wonder if it cuts its gums when it eats. But even though it's basically a dino version of Frankenstein's monster, the film won't allow us any mixed feelings towards it, because that would complicate the movie's first person shooter-style, gee-whiz attitude toward mercenaries, guns and explosives. 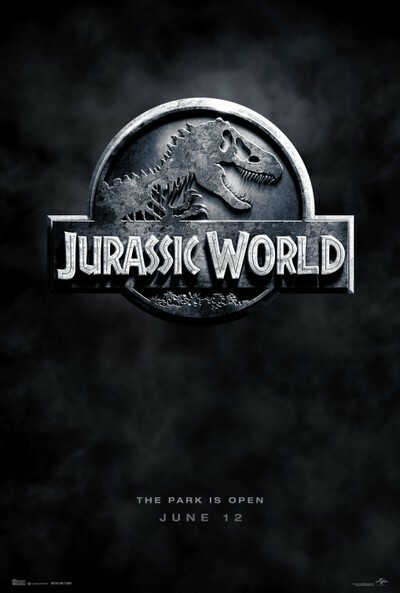 Much worse is the relationship between the commando-turned-velociraptor trainer Owen Grady (Pratt, drained of charisma playing an eye-rolling know-it-all) and park administrator Claire Daring (Bryce Dallas Howard), who is entrusted with the care of her nephew Zach and his wide-eyed, sensitive kid brother Gray (Ty Simpkins). Claire's unflattering "business" outfits and helmet-like hairdo make her look like a life-sized 1980s "Office Woman" action figure. She wears high heels all through the movie so that she can look dumb running in mud and give Owen a crowd-pleasing line about her "ridiculous shoes"—shoes that the screenplay placed on her feet. All this stuff is a throwback to 1960s macho adventure pictures in which the he-man-of-nature knew best—knew everything, really—and the little lady was onscreen to get in the hero's way, scream, cry, and have her dedication to her career, her failure to produce children, and her lack of maternal warmth treated as fair game for sneering jokes. Claire rallies near the end, of course, and does brave things in those heels, but the overall effect is so tonally inappropriate that you may wonder which of the film's producers went through a divorce recently. It's possible to filter out the irritating aspects and enjoy the movie as a raucous, often brilliantly assembled spectacle. But we shouldn't have to. The fact that we do makes an otherwise hugely impressive sequel feel small-minded.